This cake is divine. If you eat this cake before you go to bed at night I promise you will have sweet chocolately dreams. 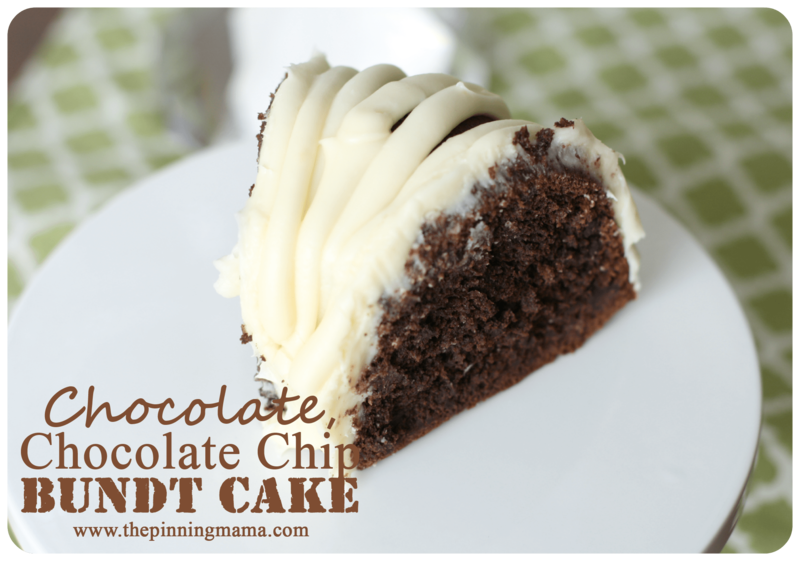 I first had this chocolate, chocolate chip cake at a MOPs meeting. My friend made it for the meeting, there was some left over and she made me take it home. I went home and had another slice. Yes, I had 2 generous sized slices within about 40 minutes. This is why I am such a happy person! I just eat, eat, eat! Who wouldn’t be happy after eating 2 slices of chocolate cake? My husband demanded that I get the recipe so that he could have more in the house ASAP. That’s what I did. Then I made the cake two days later for my best friend who had just given birth to a beautiful baby girl named Brooklyn. Her family loved the cake so much that they ate it for breakfast the next morning. Then….a few weeks later the mama I just mentioned above made the cake, I rudely told her politely asked her to take pictures for TPM and here I am posting. Doesn’t hearing all that make you want to go out and get all the ingredients? Here’s the scoop on how to get it done. It’s super easy! And the finished product is so impressive! Once the cake is done, let it cool for about 20 minutes before removing from the bundt cake pan. 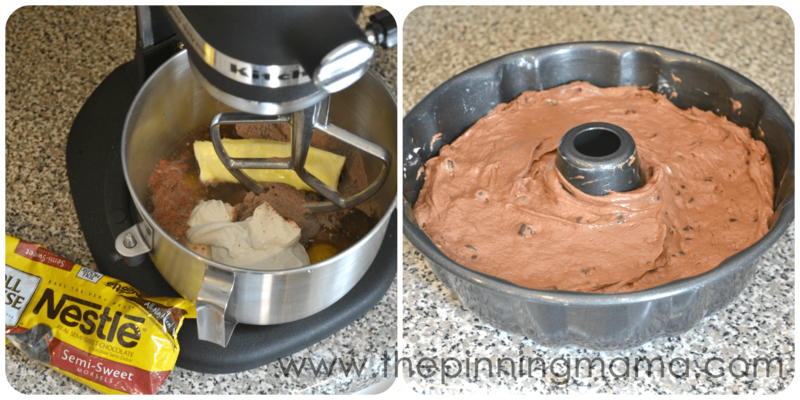 Prepare the frosting while the cake is cooling (instructions are in the recipe below). Put the frosting into a ziplock, cut the tip and pipe onto your bundt cake. And serve…with a big glass of milk. Don’t forget to eat 2 within 40 minutes like me if you want to ensure good dreams at night. Powdered Sugar to right consistency. About 3 cups or less. Mix first six ingredients on low until combined. Mix on medium for 2 minutes. Grease bundt pan, 9x13 or 8x8 inch pans, or muffin pans. Bake at temperature on the cake box. Let cool for 20 minutes, then remove from bundt pan and frost. In a medium bowl, blend the cream cheese and butter until creamy. Stir in the vanilla, then gradually stir in the powdered sugar (start with 2 cups and then keep adding more until it is a nice thick consistency). Thanks, Jess! We just linked up w our infinity scarf. Hope people love it. It’s a great tutorial! Thank you! We will follow you as well. Look forward to chatting and reading your blog. Thanks for sharing this – it looks amazing! I chose this as a feature from my link party last week. Feel free to grab an “I’ve Been Featured” button from the Link Parties page of my site. Have a great week! Fantastic! Can’t wait to check it out. Thanks so much! I am regular visitor, how are you everybody? This post posted at this site is truly pleasant. Made this recipe last night for Bunco. It was fantastic!!! Everyone loved it! Thanks for sharing. Hi! Thank you for this recipe. I love nothing bundt cake but they are not cheap. 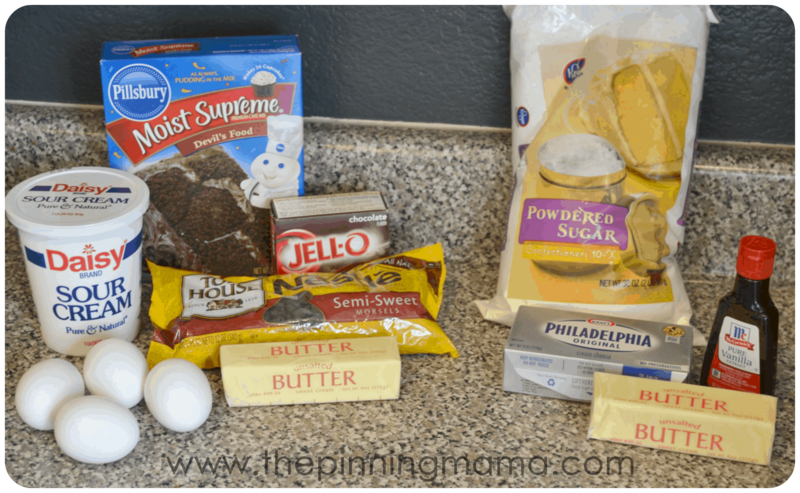 With that being said, do you think it be okay to make cupcakes from this recipe instead of a bundt cake? I’m going to a bible study and wanted to treat the ladies with these for my b-day. Thank you. I haven’t tried it but I am sure it would work. You will want to keep a close eye on them though, because I am sure the cook time will be much less, and I know the key to this recipe is keeping them just perfectly done. Hi! Is the instant pudding pack the dry mix? TIA! Yes! Just Jello or any brand you like!